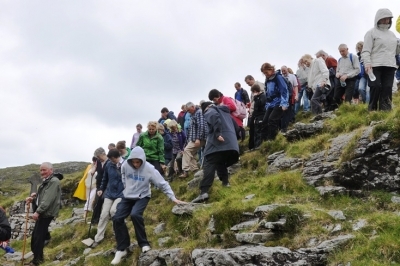 Máméan is a mountain pass pilgrimage located in Galway between Connemara and Joyce Country. The traditional pilgrimage is practiced on the first Sunday in August, linking back to the Celtic harvest feast of Lughnasa. Pilgrims walked, sometimes barefoot, from either side of the Maum Turk Mountains to the site. 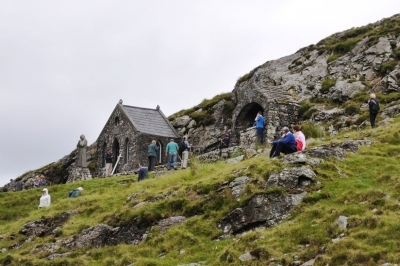 St Patrick’s Bed, two holy wells and a number of leachtana are the focus of older customs, while more recently a revival of the pilgrimage has involved the performance of the Stations of the Cross and the saying of mass. The more recent additions of the small chapel and the statue of St Patrick stand next to the grotto containing St Patrick’s Bed. 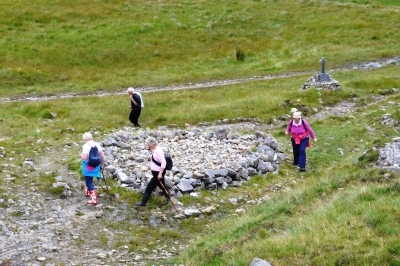 Pilgrims circling on of the leacht at the site. They throw a stone into the centre after completing their rotations. 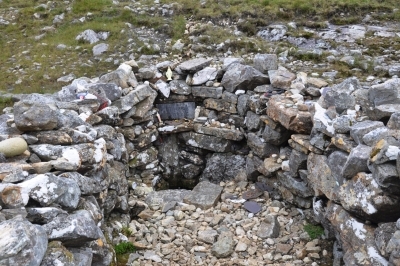 Tobar Phadraig or St Patrick’s Well, one of two wells on the site. It is rounded as part of the pattern. 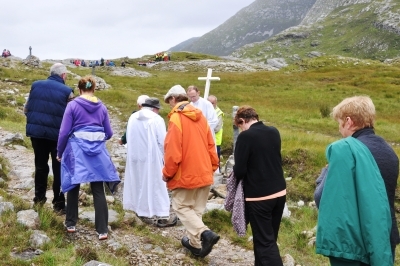 The cross leads the pilgrims around the site, with prayers, reading and singing at each station. These photos were taken during the 2012 pilgrimage.